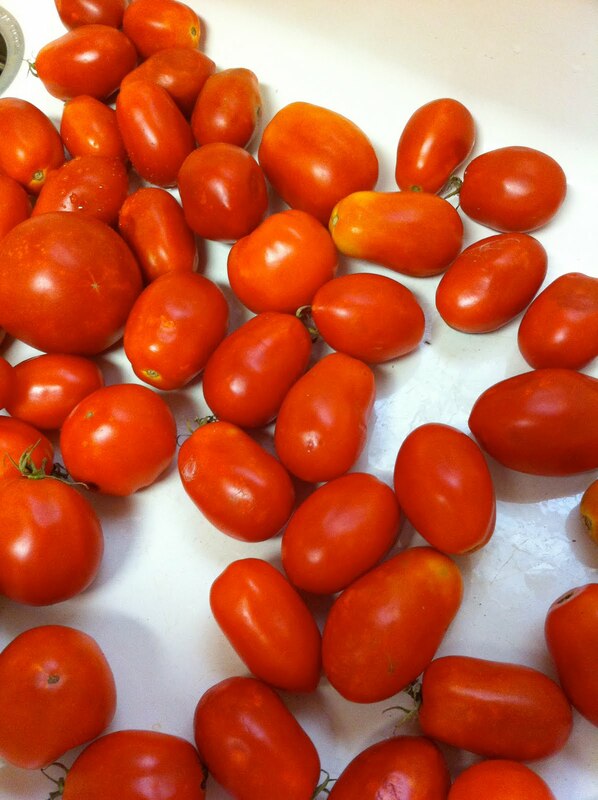 I received a 5 gallon bucket of tomatoes from a teacher on Friday. They had a bumper crop of tomatoes while I only had a few from our plants this year. I have never had that many all at once though so I wasn't sure what I wanted to do with them. 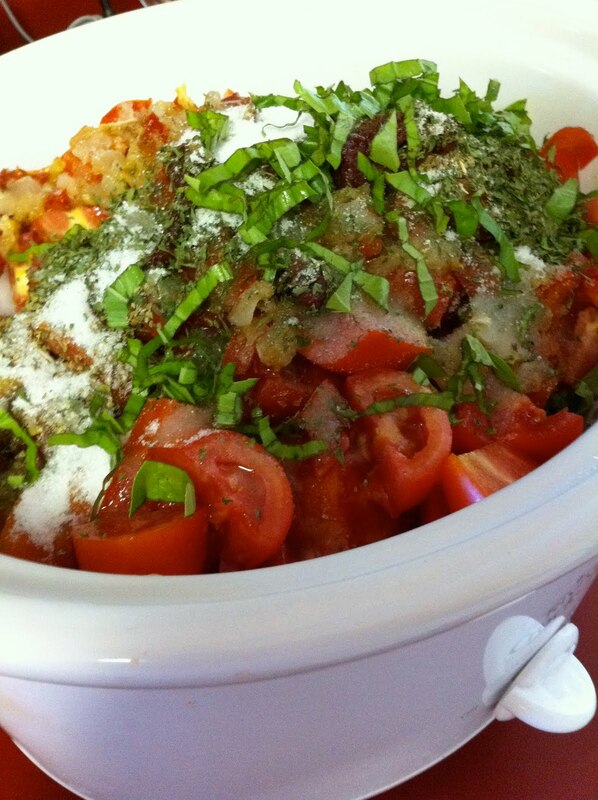 I love pasta so I thought I would give spaghetti sauce a try. 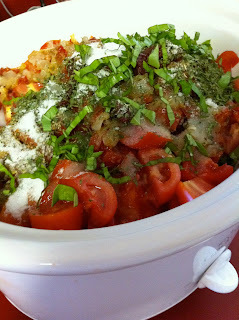 I don't like to can so I searched the internet for a freezer variety of spaghetti sauce and found one on allrecipes.com It is a good site to go to to find recipes. 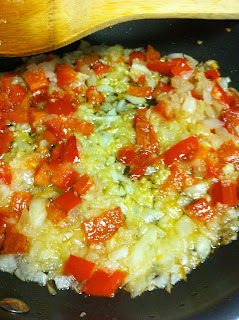 I sauteed the other veggies, onions, peppers and garlic in some oil, then chunked up some tomatoes. I used fresh oregano and basil from our herb garden. I put them all in the crock pot which worked beautifully. They simmered for three hours and then I used the immersion blender to get a smooth consistency. We got six two cup containers from the 5 gals of tomatoes. That sauce will taste so fresh this winter when we have our pasta. It is definitely something I will look forward to! Yes, you'll enjoy it ever so much more than a canned or jarred variety. You'll wish that you had made more! Sounds yummy. I just made a bunch of salsa. I have some more tomatoes left and I'm thinking I'm going to roast them. Goodness, Terri, my mouth is watering. I LOVE tomatoes.